What is Mandatory Reporting of medical conditions? Mandatory Reporting of medical conditions is the legislative requirement of all licence holders to notify the Department of Transport (DPI) of any long term or permanent medical condition which may impact on driving, if they haven't previously notified the Department. (Department of Transport). What constitutes a medical condition? Any physical disability or mental disorder that is likely to impair a person's ability to control a motor vehicle. 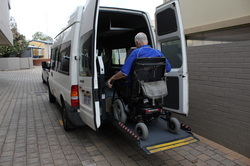 A range of medical conditions, as well as certain treatments or medications may impair a person's ability to undertake the complex task of driving a motor vehicle. These conditions may impair the driver's perception, judgement, response time and reasonable physical capability. What if my licence has expired before the assessment? We are able to obtain an 'Authority to Drive' permit prior to the assessment being completed. Please advise the 'DOTS' team if your licence is not valid prior to attending your Occupational Therapy Driving Assessment. Unfortunately, given it can take a couple of weeks for all of the key stakeholders to sign off on your licence, you may not be able to drive following the assessment until receiving formal notification in the mail from the Department of Transport. Please allow and plan for approximately 2-4 weeks following your assessment to receive formal notification from the Department of Transport. To complete the Occupational Therapy Driving Assessment you will have obtained your learner’s permit (completed your Learners Theory Test). You will then complete the Occupational Therapy Driving Assessment. Following the assessment, the Department of Transport will review any recommendations made by the Medical Practitioner and Occupational Therapist, and re-issue your learner’s permit. Once the Department of Transport has re-issued your permit, you are required to complete the standard Learner Driver Assessment Program (as any other Learner Driver would complete). This may include lessons, physical driving test, twenty-five log book hours (before and after the practical driving assessment) and a hazard perception test. Should you wish to regain any additional license classes (Class HR, HC, MC, R etc.) 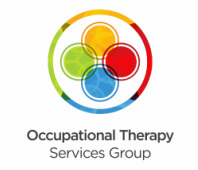 you will be required to sit an on-road Occupational Therapy Driving Assessment in the highest class licence that you wish to hold. This can only normally be completed once you have been assessed in a standard Class C vehicle.